West Environmental Services Ltd is a family owned company that offers a range of professional services for the construction industry, with particular emphasis on asbestos related issues with over 30 year’s experience in the industry, West Environmental have some of the most experienced staff in Asbestos & Construction operatives. 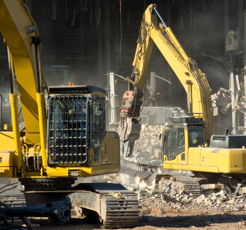 West Environmental Services conducted surveys to allow for demolition of three bridges on the Sirhowy A465 Road. This ongoing project took place over three weeks due to traffic congestion that was caused due to closing the bridge for health and safety reasons while our surveyors conducted the ‘coring’ survey of the bridges. 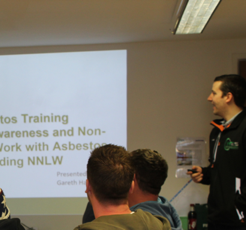 with particular emphasis on asbestos related issues. 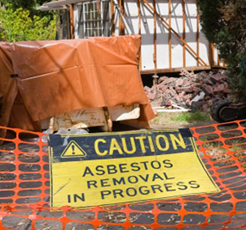 West Environmental Services have extensive experience in offering customers a range of Asbestos and Environmental Services throughout UK and Ireland. Contact us today to discuss your requirements. Thank you to Alex and Nick at West Environmental. We appreciate your ongoing professionalism, punctuality, and the swift turnaround of your reports. 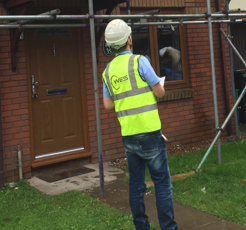 We also appreciate the advice you have provided ..
Over the past 3 years we have built a great relationship with West Environmental Services Ltd. We have found them to be prompt, pro-active and very professional in every way.